Archie's Garden: Archie-Inspired Art Gifted to the Garden! Archie-Inspired Art Gifted to the Garden! 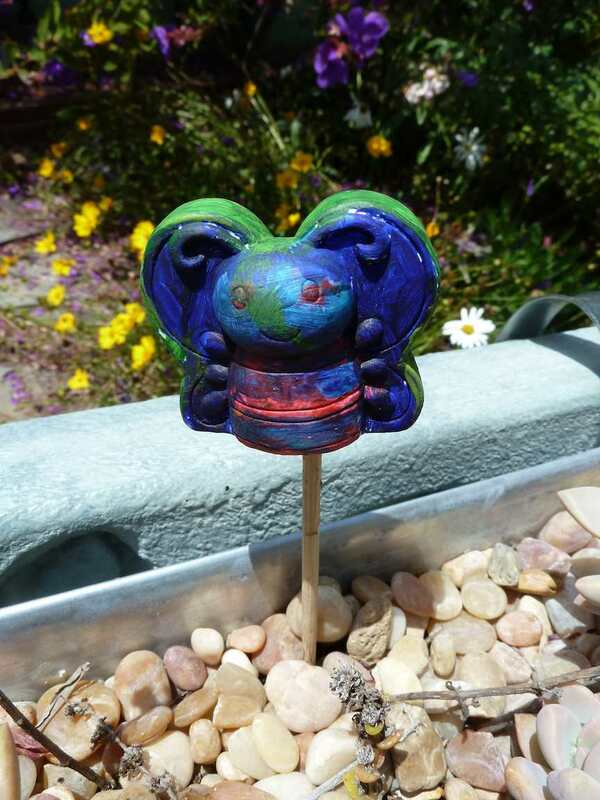 Just a quick post to thank our new friend Joseph for the cool and colorful garden stake he made for the garden. It's now installed in the succulent boxes on the back of our gazing bench, overlooking the milkweed patch. Joseph went home with some seeds, a milkweed plant, and a spare caterpillar (also named "Archie") and we hope we will hear some happy progress reports soon. Joseph also just "Liked" Archie's Facebook page too, and posted some questions; you can do the same at www.facebook.com/ArchiesGarden. Thanks again Joseph...and happy growing!